‘No’ voters upset about the outcome of last Friday’s referendum should perhaps think about what would have happened if things had gone the other way. To judge from a lot of pre-referendum opinion polls, a No victory could only have been by a very narrow margin. That would have led immediately to a new coalition of campaigning journalists, pro-abortion doctors, hard-line feminists, and left-wing politicians all calling for a Nice-and-Lisbon style rerun of the referendum. The ‘No’ side had run a campaign based on fear, we would be told. Doctors’ hands were still tied and thousands of women still suffering from the lack of abortion services in Ireland. Journalists in particular would not have let the issue go. The National Union of Journalists has supported abortion for a generation now, and it shows in the behaviour of the majority of its members. We would have more personal stories about tragic situations and nothing about the hardship and suffering that abortion has caused. Our bruised political leaders would have been only too happy to let the media write their script. Another referendum would have followed within the decade. This is not to say we are better off with a Yes vote. Far from it. We do not yet know how many, but thousands of future children will have their lives taken away before birth as a result of last weekend’s decision. One friend of mine was disturbed by the cheering and hollering following the result. It was hard to think of a time, she said, in the western world anyway, when crowds of people gathered to cheer a decision to allow the deaths of thousands of human beings. The truth is, the Eighth Amendment guaranteed world-beating standards of medical care for women while keeping Ireland’s abortion rates remarkably low. That was a huge achievement in the western world where abortion has become a commonplace, an elective procedure akin to the removal of a scar. But Ireland has now rejected the two-patient model of pregnancy. More and more lives will be lost. When legalisation happens, normalisation follows. Last Friday, the tiny minority was shunned and rejected. We are now left with a grim reality summed up in a really sick phrase, ‘abortion care’. Abortion rates will eventually go up because of last Friday’s decision. But we still have to acknowledge that thousands of abortions were already happening and would continue to happen, regardless of Ireland’s law. We have to face it. Ours is a divided country. Many people feel that abortion is simply a private choice, a woman’s decision, and the baby’s rights either don’t exist or don’t count. And they live their lives accordingly. That means that pro-life people have the same task facing them, regardless of the referendum result. We must work to persuade each new generation that abortion is the wrong choice when you are pregnant and panicking. Only love and generosity can overcome the impulses of fear and self-protection that make abortion seem so reasonable. Official Ireland offers someone else’s death as the solution to your problem. People who want to love both, to use a phrase that will hopefully not be forgotten, must take the lead in offering an alternative vision. The gentler Ireland that says ‘choose life’ must work harder now, without the support of the law, to offer friendship, counselling, emotional support, financial assistance — whatever it takes — to help women generously give life instead of taking a decision that many of them will come to regret. Without the support of the law, pro-life people must engage the fields of arts, culture, education, and science to open hearts and minds again. And among the allies we need are many Yes voters. Many people who voted Yes last Friday remain deeply uncomfortable about abortion. They voted to give politicians a free hand because they couldn’t believe that abortion was always wrong. But that doesn’t mean they think abortion is always right. In the coming months, many of these voters will be unpleasantly surprised at the extent to which the Government will want to push abortion services. The pro-life community must get busy again. Should abortion really be available without restriction up to 12 weeks? Should we allow later-term abortions on mental health grounds when there is no evidence that abortion improves mental health? Should medical staff be required to refer people to abortionists if they object to what is happening? The conversation is only beginning. 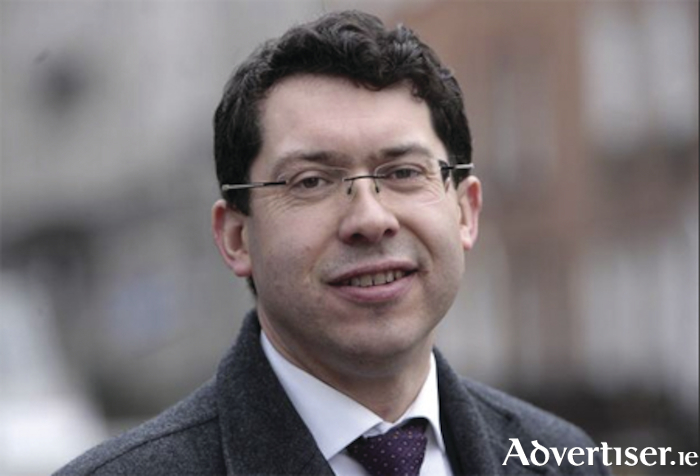 Senator Rónán Mullen represents the National University of Ireland constituency and is a founder member of Galway for Life.